New survey shows Right-Religious bloc taking 10-seat lead over Left-Arab bloc, even as Blue and White maintains lead over the Likud. The center-left Blue and White party has increased its lead over the Likud, according to a new poll, even as the right-wing – religious bloc takes a ten-mandate lead over the left-wing – Arab bloc. The new poll, released Friday by Maariv and The Jerusalem Post, was conducted by pollster Rafi Smith, and marks a significant gain for the right-wing bloc, which was tied 60-60 with the left-Arab bloc in the previous Smith poll released earlier this month. According to the new survey, the eight right-wing and haredi factions likely to be in the 21st Knesset would win a total of 65 seats if new elections were held today. The Likud, which currently holds 30 seats, would win 27, a decline of two compared to the Smith poll published on March 5th. The Union of Right-Wing Parties (URP) and the New Right would win six seats each, while Moshe Feiglin’s libertarian-leaning Zehut would win four mandates. The URP and New Right were also projected to win six seats apiece in the previous Smith poll, while Zehut failed to cross the threshold earlier this month. The center-right Kulanu would win five seats if new elections were held today, compared to four seats it was projected to win earlier this month and the 10 it currently holds. Yisrael Beytenu would win four seats, the same number it was projected to win earlier this month, but down from the six it won in 2015. Both of the haredi factions gained one mandate over the previous poll’s results, with United Torah Judaism moving up from six to seven seats (it currently has six) and Shas rising from five to six (it currently has seven). On the left, the Blue and White party fell by one seat compared to the previous poll, sinking from 31 to 30 seats – though its lead over the Likud actually increased, due to the Likud’s two-seat decline. The Labor party rose from seven to eight seats in the most recent poll, though it remains far below its 2015 showing of 19 seats. The far-left Meretz faction remains stable at five seats, while the Arab factions are projected to win a combined 12 seats, down from 13 in the previous poll. The two lists ran on a joint ticket in 2015, netting 13 seats. Former Yisrael Beytenu MK Orly Levy’s Gesher party failed to cross the threshold in the latest poll, falling from four seats in the prior survey to zero. The new poll shows Gesher with 2.8% of the vote, below the 3.25% minimum threshold. 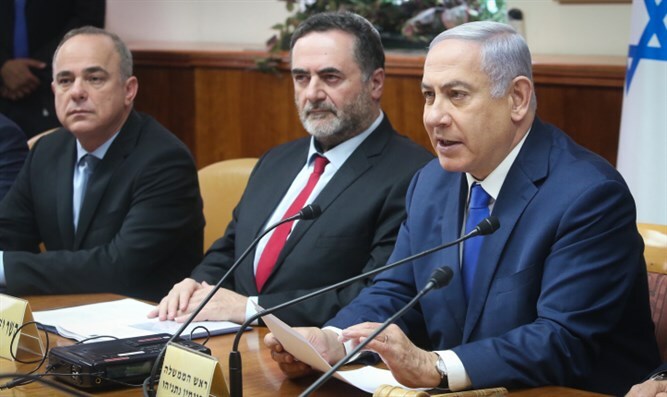 A Maagar Mohot poll released Friday by Israel Hayom and i24News showed the margin between the right and left-wing blocs narrowing, with the right-wing – religious bloc falling from 66 seats in the previous poll to 62 seats on Friday, while the left-wing – Arab bloc rose from 54 seats to 58. Turkish Prime Minister Ahmet Davutoglu is not letting up with his verbal attacks against Israel.